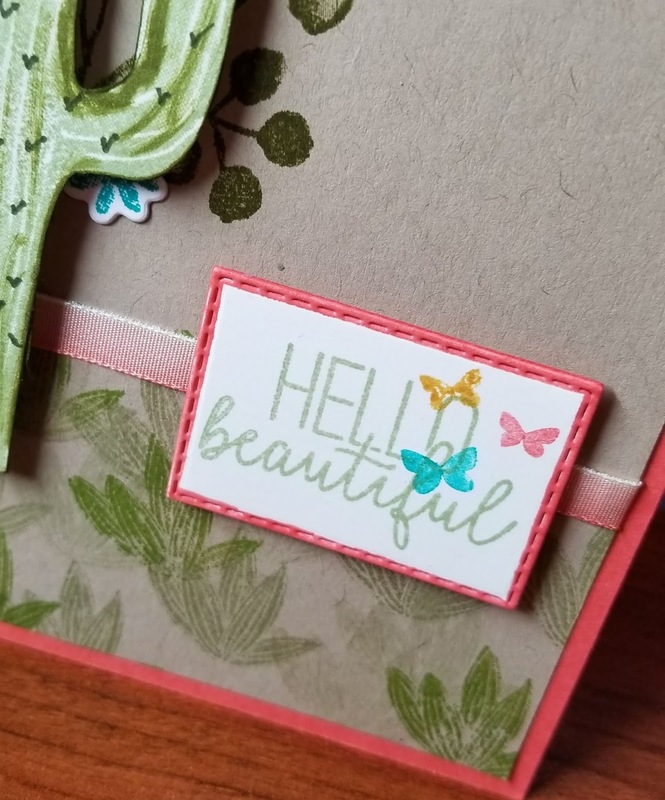 Hello everyone and welcome to Blue Room Crafts by Jacqueline. I am very excited to have you here as I begin my blogging journey. I have wanted to join the blogging world for some time and finally stumbled upon the right teaching resources to get me started. More talk about that soon, but for right know I thought I would give a brief intro to myself before I share the project I made today. 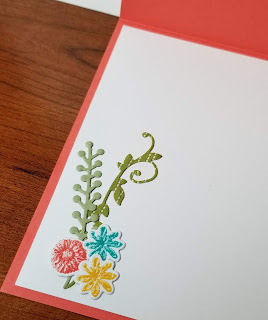 I have been with Stampin Up for about 10 years and am working toward a business focus now. I am an RN and have a full time job outside the home working at the community hospital. I am married and have two grown children. My son is a computer geek and my daughter is in the beauty industry. We are in the process of planning her wedding for this October. I live in a little town in Texas you may have heard of, Houston. :). Maybe some more about me later but lets move on. As a new blogger it can be intimidating trying to decide on the best projects to post. One great suggestion I had was to participate in a challenge or blog hop. I decided to start with the weekly Global Design Project challenge. If you have not heard of them, you can check them out here. 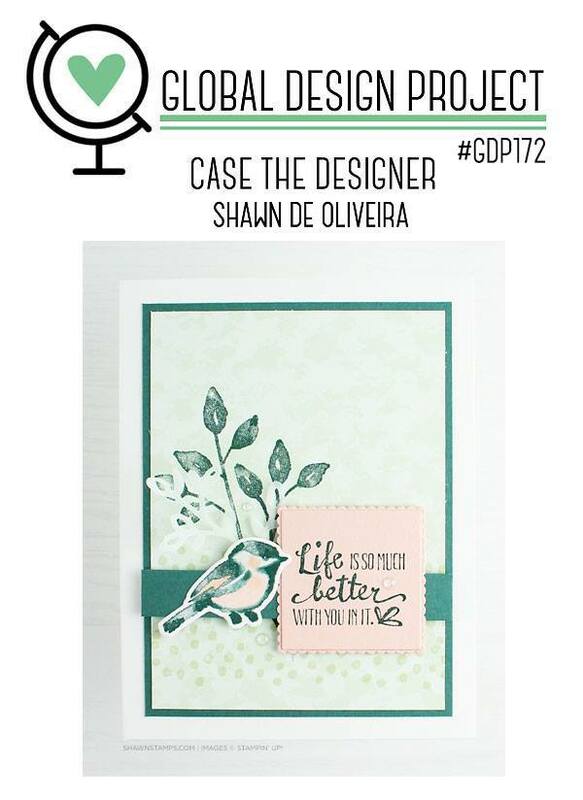 This weeks challenge is to CASE the designer. You can use the layout, the colors, the stamp set or what ever inspires you. For my project I am using the layout as inspiration. 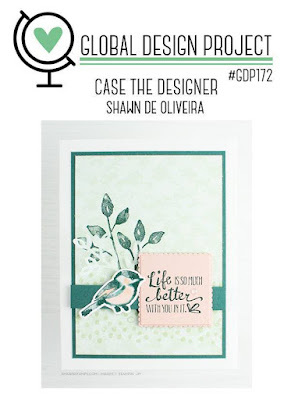 This classic layout is great for creating all types of projects from fun and festive to elegant & beautiful. 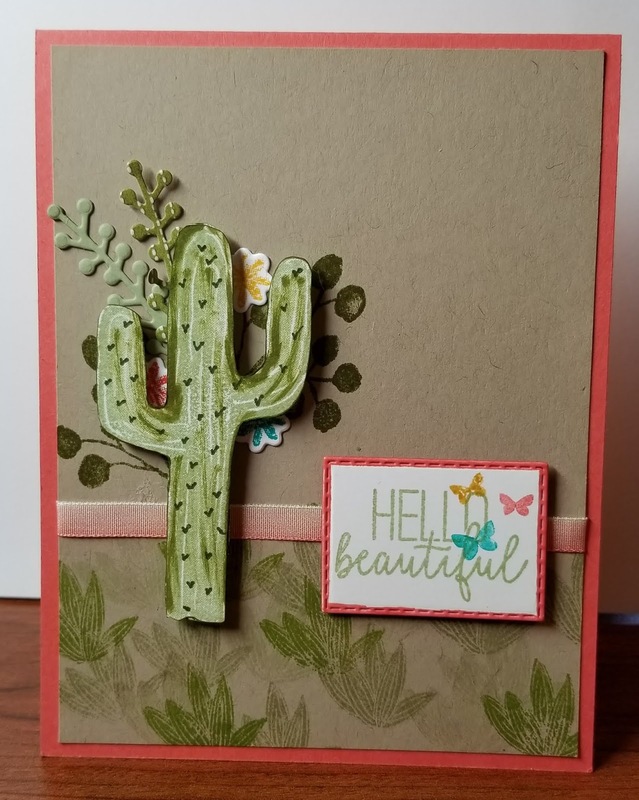 My main image is from one on the new stamp sets in the Occasions catalog that was just release a few weeks ago, Flowering Desert. I also used images from a another new set called Needle & Thread. The sentiment is from a 3rd new set, Butterfly Gala. I always enjoy mixing multiple sets. The card base is in Calypso Coral, standard A2 size, 4.25"x 5.5". The image is on a Crumb Cake base. I used Crushed Curry & Bermuda Bay just for a splash of color along with the Calypso Coral ombre ribbon from the annual catalog. 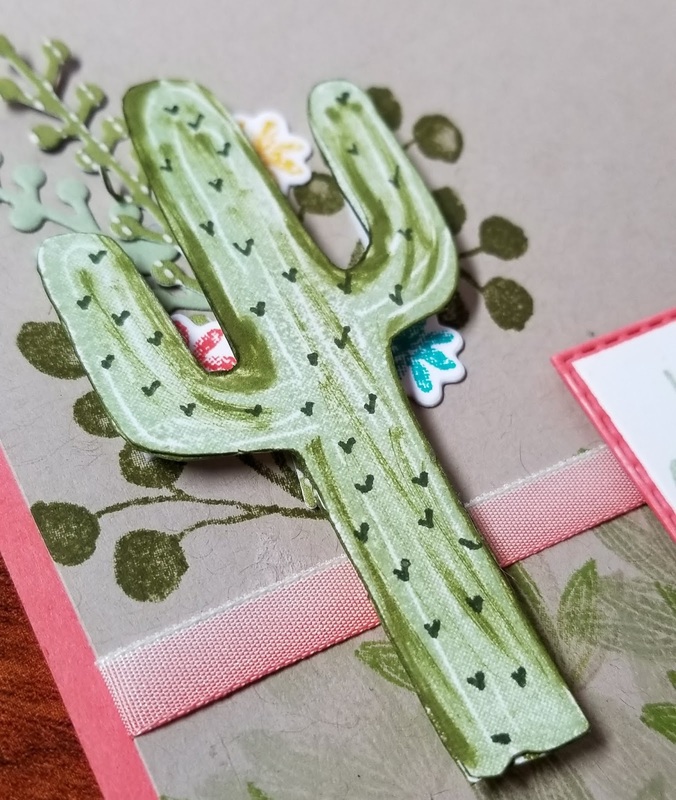 The cactus image and the sentiment are both popped on Stampin Dimensionals. I kept the sentiment generic so it could be used for a variety of occasions including no occasion at all. It would be great for a RAK which is likely what I will do. Don't forget to finish off your cards with embellishing the inside. Your percipient will be even more impressed with your creativity. These die cuts are from the Needle & Thread set. I love the way they pair with the succulents. This color combo is really bright and happy. Definitely one I will use again. Please be sure to jump over to the Global Design Project web site and check out all the great projects from the other participants. Thank so much for taking the time to check out my blog. My plan is post twice a week on Sundays & Wednesday so I hope that you will come back and see what else I come up with. All of the supplies can be found by clicking on the catalog links in the side bar. Don't forget it's Sale-A-Bration time so you receive a free item with every $50 purchase. If you have any question just leave a comment or fire off an email to me. Fantastic Jacqueline!! Amazing job on getting your blog set up. So proud of you!